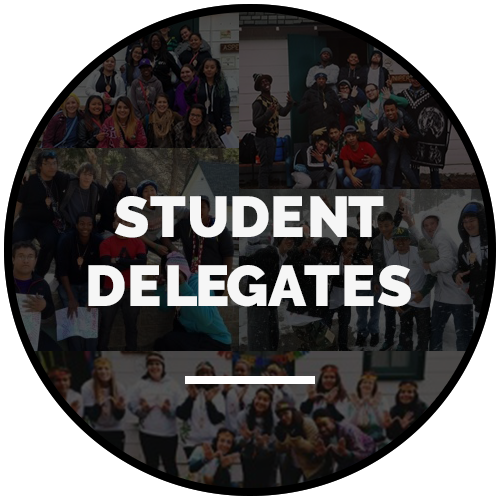 Delegates nurture a sense of individual self-worth through power, privilege, race/ethnicity, gender, religion, and culture as integral parts of one's identity and it's important role in a multicultural US society. Delegates learn about prejudice and discrimination and their efforts within our society and how perspectives shape our community and interactions. Delegates encourage the acceptance and appreciation of people from different backgrounds in ways that enhances coexistence, cooperation, and interdependence in a community. Our mission is to create communities based on inclusivity, respect, and understanding through youth leadership and empowerment through a series of educational workshops and team building exercises. The Anytown program works from the premise that we live in a multicultural society and that young people are the nation’s future. Therefore, youth need to be sensitized to the experiences of diverse groups if- as decision makers- they are expected to make fair judgments in improving the quality of life for the entire nation regardless of ability, ethnicity, faith/religion, creed, and gender. Check Out Photos from Past Camps by Clicking Here! Together we can make a difference to unlock the future for young people who just need a reminder that they can be someone who makes a lasting change in this world. Thank you for the continued support of our sponsors! If you are interested in donating please click on the donate button below.